Because we understand our fearful responsibility to the Lord, we work hard to persuade others. God knows we are sincere, and I hope you know this, too. Are we commending ourselves to you again? No, we are giving you a reason to be proud of us, so you can answer those who brag about having a spectacular ministry rather than having a sincere heart. If it seems we are crazy, it is to bring glory to God. And if we are in our right minds, it is for your benefit. Either way, Christ’s love controls us. Since we believe that Christ died for all, we also believe that we have all died to our old life. He died for everyone so that those who receive his new life will no longer live for themselves. Instead, they will live for Christ, who died and was raised for them. The idea or theme of reconciliation occurs a number of times in the preceding verses. And, if we were in a Bible Study 101 class it would be fairly easy to conclude what this passage is all about. Yes, this is a text about reconciliation! The theme of reconciliation is treated in a number of ways by the narratives of the Bible. The most famous biblical reconciliation scenes occur in two family reunions that light up the book of Genesis. The first, you might remember, is the story of Jacob and Esau in Genesis 33, who were reunited after twenty years of separation. In that story Jacob is the guilt-haunted supplicant, humorously overprepared for the meeting, while Esau is generous and impulsive in his forgiveness. In the second great reconciliation story you might remember Joseph in Egypt, disclosing his identity to his brothers and forgiving them after their terrible treacherous selling of Joseph into slavery (Gen 46:1–47:12). Tracking through the Hebrew Bible we note that the theme of reconciliation underlies the book of Hosea, where the prophet obeys God’s command to be reunited with his faithless wife, Gomer. In the Song of Songs moments of separation between the two lovers in that story are resolved in scenes of splendid reunion. A similar motif underlies the New Testament, for example, in the post-resurrection appearances of Jesus, and it becomes the dominant thread in the story of Jesus’ restoration of Peter (Jn 21:15–19). Of course, I am not being exhaustive, but what I am suggesting is that the motif of reconciliation and restoration receives a distinct and emphatic treatment in the Bible—meaning of course that this is something to really pay attention to as students of God’s word. And what we find, particularly as we read scripture as Christians, is that this reconciliation is built on the foundation of God’s unbelievably gracious forgiveness of sinners because of the great work of Jesus Christ. It’s quite lavish, God’s grace, in the work of reconciliation—and if anyone is prodigal—a word which simply means “wasteful”—if anyone is prodigal in the Bible—it’s not the son from the famous parable—the truly prodigal one is God, who lavishly “wastes” his grace upon a sinful world. A thank God for that! Another thing we find as we read scripture is this grammar or language in the Bible that expresses desire for reconciliation with God—and this becomes a model for us today as we reach out and expend ourselves seeking after God. The really classic case of desire for reconciliation comes from Psalm 51. Now, the only reason that the David can pen such a beautiful song of exhortation for reconciliation with YHWH is because he realizes that God is a reconciler. This characteristic is fundamentally a part of who God is. Which brings me to 2 Corinthians 5 and a problem that Paul was dealing with. You see, there was a fundamentally important and abundantly exciting new reality in the world as Paul was writing this letter—God was/is...in Christ Jesus…reconciling all things to Himself. That was the new reality. And that’s wonderful, right? But there was a problem. The problem was that the Corinthians, among whom Paul was ministering, were really kind of missing it because they hadn’t processed this new reality. And missing this new reality of what God was doing in the world because of the work Jesus Christ, was keeping the Corinthians from seeing the world with the new eyes of the gospel. And so Paul begins describing in 2 Corinthians 5, in sweeping terms, the view from where he now is. He is on the threshold of the new creation itself, and everything looks different because everything is different. And for Paul this new reality has an ethical purchase on him. He writes in 2 Cor. 5:16, "So from now on we regard no one from a worldly point of view. Though we once regarded Christ in this way, we do so no longer.” In other words, when Paul looks at other people, other Christians…himself…anyone…he sees them in a new way from how he did before. When he looks at the Messiah, he sees him, too, in a new way; there was a time when all his dreams of a Messiah were concentrated on ‘purely human’, that is, ‘fleshly’, ideal—a Messiah who would conquer the enemies of God, build the Temple of God, establish a ‘purely human’ kingdom. But for Paul, in light of the new reality of the gospel, he realizes all such dreams must come to dust; that’s what the Messiah’s death and resurrection have taught him. The way to the true kingdom of God is through death, and out the other side into God’s new world. So: putting together what he’s learned about other people and what he’s learned about the Messiah, he writes in 2 Cor. 5:17 one of his great summaries of what Christianity is all about. In the Greek language he was using, he said it even more briefly: ‘If anyone in Messiah, new creation!’ It sounds like gospel HAIKU doesn’t it? ‘If anyone in Messiah, new creation!’ In other words, if anyone is in Christ, they are a new creation!” And of course the ‘new creation’ in question refers both to the person concerned and to the world which they enter, the world which has now been reconciled to the creator. And so Paul says in the next verses (18 and 19) something quite profound about reconciliation. He writes, "All this is from God, who reconciled us to himself through Christ and gave us the ministry of reconciliation: that God was reconciling the world to himself in Christ, not counting people’s sins against them. And he has committed to us the message of reconciliation.” OK, what does Paul say? He says (or rather he emphasizes) that what has happened in and through the Messiah is not a matter of God claiming a world that didn’t belong to him, or making a new one out of nothing, but of God reconciling to himself his own world, his beautiful and beloved creation, after the long years of corruption and decay. And this, once more, explains what Paul is up to. If God was doing all this in the Messiah, that work now needed to be put into effect, to be implemented. And disciples had (and still have today!) a part to play in this great work of God! New Testament scholar NT Wright describes it in this way: “the great symphony of reconciliation composed on Calvary needed to be copied out into orchestral parts for all the world to play.” And that’s where Paul and the other Apostles come in. ‘God was reconciling the world to himself in the Messiah, and entrusting us with the message of reconciliation.’ He says it twice in verses 20 and 21, in very similar words, to rub the message home. Something new has happened; something new must now happen. Of course, the world had never before seen a ministry of reconciliation; it had never before heard a message of reconciliation. No wonder the Corinthians found Paul’s work hard to fathom. It didn’t fit any preconceived ideas they may have had. He was behaving like someone … who lived in a whole new world. And this can be your confession too if you are in Christ! “This is what I do! I’m a reconciler!” Why is this the case? Because of what Paul comments upon in verse 21. Paul writes, "God made him who had no sin to be sin for us, so that in him we might become the righteousness of God." How is this possible? And how is it then possible to be the conduit for a message of reconciliation? The answer is—time and again—because of Christ Jesus. The answer is in the cross, on which God made the sinless Messiah to ‘be sin’ on our behalf. 1) Respond to the great urge in your hearts for reconciliation with God and with others. Don’t fight that. 2) Second, realize that God has commandeered us to act in accord with our blessed status as reconciled ones right now. Don’t be like the Corinthians might have been—acting in accord with an old reality that was not consistent with the fact that God was reconciling all things to himself. IN other words, don’t begrudge others. Don’t hold back your love for others, as if, like Scrooge, you might store it away for yourself. Let your love flow liberally and freely in the world, consistent with the reality that you are reconciled to God. 3) Third, remember the great and sobering point that as Christians ‘we believe in life before death and as Christians we believe in life after death’, and that is important. So often you will hear Christians speak of “Heaven over yonder up there” as of that is where the real game will begin so it keeps them from really flourishing as Christians in this life. But I tell you that ‘Salvation’ is not just ‘going to heaven up yonder over there’, but it is ‘being raised to new life in God’s new heaven and new earth’. In other words, we can enjoy ‘salvation’ here and now (always partially, of course, since we all still have to die), but we can genuinely anticipate in the present what is to come in the future—and this is part of our “ministry of reconciliation.” ‘We were saved’, says Paul in Romans 8:24, ‘in hope.’ And we should live like a people with hope. 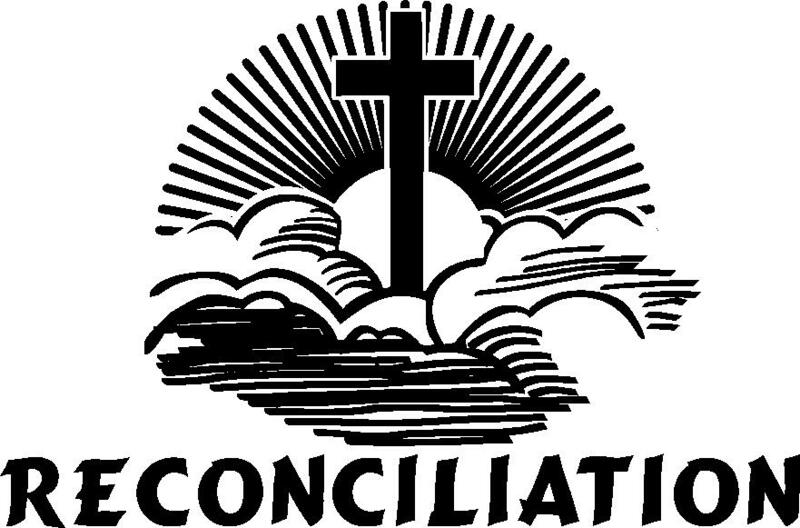 4) Fourth, remember that God’s reconciliation through the death of Christ constitutes an enduring relationship between the living Christ and the reconciled so that we as believers can be certain of being saved in the final judgement and can exult in the hope of divine glory that is to be theirs. There is no need for existential doubt…God can be trusted in all things. Much more then, having now been justified by His blood, we shall be saved from the wrath of God through Him. 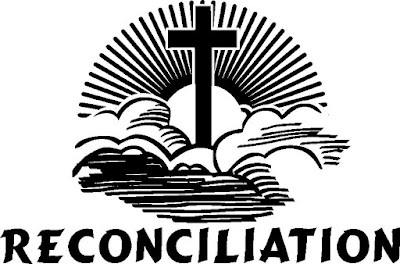 For if while we were enemies we were reconciled to God through the death of His Son, much more, having been reconciled, we shall be saved by His life. And not only this, but we also exult in God through our Lord Jesus Christ, through whom we have now received the reconciliation. (Rom. 5:9–11).